The most difficult part of Pennsylvania debt collection is actually enforcing judgments against debtors. Obtaining the judgment on paper is the easy part, but collecting the judgment is where experience matters. and executing on foreign and magistrate judgments. Getting a Pennsylvania judgment is not enough to collect debt and money owed to you or your business. Obtaining the judgment is only step 1 in the Pennsylvania debt collection process. Most attorneys can obtain judgment against debtors and defendants who do not respond to lawsuits. This is called the default judgment. Obtaining the judgment is usually the easiest part of the collection process. Step 2 is executing upon the judgment. Pennsylvania does not allow wage garnishment except in certain landlord / tenant cases..
Garnish and Seize Bank Accounts. Garnish Money owed From 3rd Parties. Sheriff Levy and Sale of Vehicles. Sheriff Levy and Sale of Personal or Business Property. Each Pennsylvania county has different local rules for enforcing and executing upon judgments. We cover the state of Pennsylvania and work hard so our clients can rely upon our experience to collect their money owed. Once a judgment is obtained, the creditor must execute on the judgement. This means that a writ of execution must be issued by the Prothonotary, and the writ of execution must be served to the debtor through the sheriff’s office. A writ of execution is simply a piece of paper stating, writ of execution with the amount owed and an original seal of the Prothonotary’s office verifying the authenticity of the debt. It is also considered the ‘key’ for the sheriff’s to enforce the judgment. Sheriffs cannot enforce Pennsylvania judgments unless they have a valid of writ of execution. Writs of execution are valid for 90 days in Pennsylvania before they need revived. When serving the writ of execution, creditors must fill out sheriff instruction sheets directed how the writ of execution is to be served. If serving banks or other financial institutions, the writ of execution must be accompanied by interrogatories to the garnishee. Choosing the best execution strategy is important so as not to waste client’s money. The last thing most of our clients want to do is throw good money at bad money. Pennsylvania collection attorneys also need to understand how marital property and claims for exemption can affect execution of judgments. We often perform crucial discovery in aid of execution, including interrogatories in aid of execution and depositions in aid of executions to best ascertain the financial solvency of the debtors. This experience in executing and enforcing judgments gives our clients the best advantage of collecting their money owed. Before spending money on writs of execution or sheriff fees, be certain to fully evaluate the possibilities of bankruptcy, claims for exemptions, and the ability to hide assets in every case. Through due diligence you may be able to minimize the potential for lost costs. We offer free consultations at all levels through the litigation process, and we are often eager to assist in enforcing judgments which have already been entered. We are also able to assist with judgments entered in Magistrates’ offices throughout Pennsylvania. There is a distinct process for entering magistrate judgments with the county courts and you need experienced debt collection attorneys to collect. 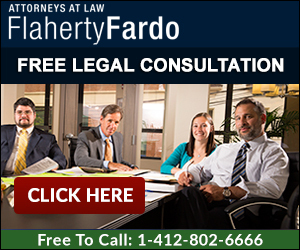 Please contact attorney Noah Paul Fardo (412.802.6666) if you are in need of a Pennsylvania debt collection attorney. We offer free consultations and will gladly research the debtors assets free of charge before discussing potential representation.